The judges of CharityComms’ Inspiring Communicator Awards 2018 had the life-affirming experience of choosing some of the most outstanding high achievers and rising stars in our sector. Our winners work their magic at all levels and in all areas. They include CEOs, managers, strategists and volunteers, influencing policy, campaigns, digital and fundraising. Their successes demonstrate that great communications lie at the heart of positive change. the most vulnerable. Championing the complex and controversial. Securing game-changing wins close to home and on the global stage. And, perhaps most important of all, giving voice and power back to our beneficiaries. Inspiring communicators are behind it all. A huge congratulations to all our winners and special thanks to those who wrote the compelling back stories of their success. 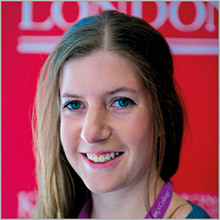 A passionate and innovative communicator, Amy Lothian helped transform King’s College London’s Entrepreneurship Institute into one of the university’s most popular and impactful initiatives. Amy gets things done. She single-handedly developed a network of comms staff who share best practice and help distribute messages throughout the university. The online comms strategy she developed includes multi-media content covering an inspiring range of events, learning and opportunities. 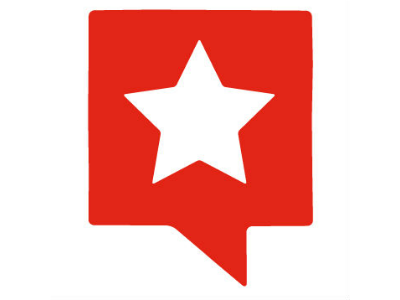 Building an online community within a complex organisation like King’s College takes great skill and perseverance. Amy’s stats speak for themselves: in just two years, she’s brought together 10,000 students, alumni and staff, across Facebook, LinkedIn, Instagram and Twitter. Amy has an instinctive understanding of how to connect with different internal and external audiences. Continually going above and beyond what’s asked of her, she has helped raise the reputation of King’s College London, as well as many individual departments and faculties. Her hard work was recognised when the university’s Entrepreneurship Institute won the Higher Education Team Enterprise 2017 Award from Enterprise Educators UK. A truly inspirational character, Amy’s infectious energy drives up the standard of her team’s work. Her thoughtfulness, creativity and dedication to improving communications across the university makes her a truly inspiring communicator. Every day Beatrice Cadman challenges perceptions of what deaf children can achieve. She provides encouragement and inspiration to the families of deaf children across the UK. Beatrice recently demonstrated her excellent communications skills, and confidence, by turning the tables on Jeremy Paxman – interviewing him live in front of an audience of philanthropists, charitable foundations and industry experts. No mean feat for an adult, let alone a 14-year-old girl, born profoundly deaf. In June 2018, Beatrice hosted Auditory Verbal UK’s Power of Speech event at the House of Commons. She spoke passionately about her personal experience in front of MPs, health and education experts, and families of deaf children, and offered advice and support to other young people. Thriving in a mainstream school, Beatrice constantly demonstrates that her hearing loss is no barrier to achieving. She is an outstanding young ambassador for the charity and a role model for young deaf people and their families. Beatrice has used her creativity to produce video footage for the charity. She is now participating in building a peer-to-peer network for young deaf people who learnt to listen and speak with the support of auditory verbal therapists. Her ambition is to launch it not just in the UK but around the world. Beatrice knows how to get to the heart of a topic and is confident communicating about issues many teenagers might shy away from. It was her parents who helped her find her voice, now Beatrice is helping others by using it. Her story is inspirational, as is her passion and commitment. She deserves to be recognised for everything she’s achieved and everyone she’s inspired through her excellent communication skills. 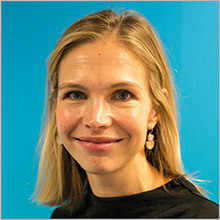 Former director of communications at Girlguiding UK, Becky Hewitt took up her first chief executive role at Changing Faces in 2017. Her open and responsive leadership style made an immediate impact. In her first 18 months at Changing Faces Becky reviewed the charity’s strategy, making sure services and beneficiaries remained at the core of its mission. Using comms experience from her previous role, Becky looked at how the charity could reach more people with its services, through digital communications. Highly successful campaigns include a partnership with film company Lionsgate when they released Wonder, a blockbuster about a little boy with a craniofacial condition. There was also Portrait Positive, a collaboration with world-renowned photographer Rankin and designer Steven Tai. The campaign challenged perceptions of beauty through a series of striking images, receiving extensive media coverage. Transparency guides Becky’s internal communications too. She sends staff regular updates on her activities and priorities, shares feedback from trustees, and maintains a Slack channel called #ask-the-CEO. She always asks staff for their thoughts and perspectives on any big changes. Most importantly, her open-door policy means she maintains a personal relationship with all staff. Changing Faces has a network of champions, all of whom have some form of mark, scar or condition which affects their appearance. Becky has spoken to many champions about their views and experiences and used their insight to inform strategy and services. Level Up is a community of feminists working together to end sexism in the UK. Under Carys Afoko’s leadership, Level Up grew from a crowdfunding project to a network of 30,000 people in a year. Level Up has hit the ground running, tackling some of the biggest and most topical gender equality issues – and making it fun. 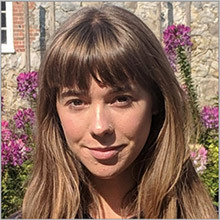 Led by Carys, the organisation won its campaign to stop plastic surgery and diet ads being shown during Love Island, one of the nation’s most watched TV shows. Carys is a comms genius with very high standards. She instinctively understands the secrets behind winning campaigns. Her previous experience includes senior comms roles in New Economics Foundation and SumOfUs, and she’s been an advisor to Lisa Nandy MP, Shadow Minister for Civil Society. Yet, Carys continues to have an honest curiosity about what works. She’s an authentic communicator, often sending heartfelt messages – and pizza selfies – to the Level Up network. Her approach has created a genuine, loyal relationship with supporters. As a working-class woman of colour, Carys has made it her personal mission to create inclusive, accessible campaigns that bring on board people who might not identify as feminist. True to the values of Level Up, Carys has created a motivational feminist organisation, where work-life balance and looking after mental health are priorities. Her team works hard, but never at the expense of their wellbeing. Described by her team as “a legend”, Carys is known for empowering the people around her. She infuses warmth and intellect into her workplace and talks to everyone in a genuine way. She’s the kind of boss who will sign off a sophisticated campaign theory of change with a Beyoncé meme. Using her boundless skills and experience, Claudia Knowles inspires both colleagues and people affected by breast cancer to create engaging and innovative content. Claudia’s creativity has no limits. Having developed a comprehensive content strategy, she constantly refines it based on rigorous testing and input from internal and external content specialists. Claudia regularly shares her expertise, recently speaking at the 2018 Agile Content Conference about how to use data analytics to inform content decisions. 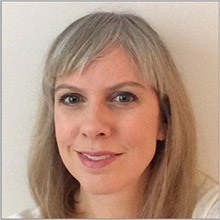 She has advised health professionals about creating digital content, and featured on the CharityComms podcast discussing agile content principles. It was her agile content approach that helped shape the voice of the charity’s BECCA app, tailored for women adjusting to life after breast cancer treatment. Despite her expertise, Claudia always encourages others to step forward and has mentored colleagues to deliver talks about the charity’s work. As well as supporting her colleagues to create fantastic content, Claudia has empowered people who’ve faced breast cancer to share their stories online. She’s created and hosted Blog+Learn events for aspiring breast cancer bloggers and storytellers who’d like to hear from expert communicators. By creating this community of digital content creators, Claudia has helped reach increasing numbers of people affected breast cancer. Highly skilled fundraiser and communicator Mark Kember works in the individual giving team at the NSPCC. His dedication and talent are an inspiration for colleagues across the charity. Mark has set up a new programme of door-to-door, experiential and venue fundraising for the NSPCC. Thanks to his care and talent, the programme has grown into one of the charity’s most outstanding fundraising initiatives, generating over 30,000 regular givers in the last year. Local fundraisers have also talked to millions of people about the NSPCC’s work in local communities. 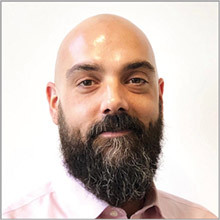 Having championed the charity’s move into experiential fundraising, which gives an immersive experience of the NSPCC’s work in schools, Mark has shown great skill in setting up this channel from scratch. He’s shown resilience and diligence, hearing any worries people had, ensuring the appropriate measures are in place and compliance protocol is followed. Mark has led on a new professional safeguarding approach for fundraising across the NSPCC. He’s an exemplary trainer for agencies and staff alike. 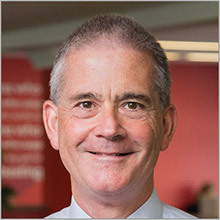 He is also the charity’s lead for telemarketing, succeeding in an environment that is difficult for many fundraisers following new GDPR regulations. Utterly dedicated to the cause, and incredibly supportive to his colleagues, Mark always shows the greatest degree of professionalism and works to the highest standards. He’s a valued and much respected member of the comms team. Most importantly, he has taken the time to ensure children who’ve experienced abuse have their stories heard. He’s made sure this is done in the most sensitive way, so that the public can better understand the charity, the impact of abuse, and what they can do to help make a change in children’s lives. When Parentkind’s chief executive was taken ill, Michelle Doyle Wildman stepped up to take on the role. She leads with tenacity, drive and great respect for her colleagues. Previously the charity’s policy and communications director, Michelle became acting CEO at a significant turning point in Parentkind’s history. She’s led the way on a successful major rebrand and repositioning, while maintaining team morale at a difficult time. Other achievements include expanding the charity’s offering to its parent and teacher association members, and collaborating with Parent Councils UK to provide training to school leaders to improve parental engagement. She’s also developed a more focused external affairs strategy to influence education policy to meet the charity’s ambitions. Michelle has a natural ability to build strong, strategic relationships while communicating targeted messages to the charity’s different audiences. A firm believer in the critical role parents play in their child’s education, Michelle has worked hard to carve out a space in the education policy arena for parents to have their voices heard. 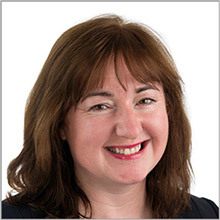 Continually investing in her own communication skills, Michelle is a chartered member of the Chartered Institute of Public Relations and an accredited PR practitioner. She’s overcome nerves to give TV and radio interviews and key note speeches at conferences. She drives creative and strategic communications campaigns, writes numerous articles and blogs, and has developed a presence on social media. Michelle has shown great respect to her colleagues. She regularly takes advice and effectively delegates tasks. With a good sense of humour, Michelle inspires her team, knowing great things can be achieved by working together, even in the face of adversity. Peter Eates joined St Luke’s Hospice in June 2016 as a fundraising volunteer. Extremely dedicated and generous with his time, he went on to form, launch and run the hospice’s ambassador scheme. Soon after he started volunteering in the fundraising team, Peter became a corporate partner through his IT business, inspiring other companies and individuals to help in any way they could. His communication skills, professionalism and dedication came to the fore in April 2017, when he offered to put together a model to recruit, train and manage volunteer ambassadors. Peter has worked relentlessly to make the scheme a success and the hospice now has six ambassadors. They have all been through a regulated recruitment and training programme, led by Peter and supported by relevant hospice departments. It’s testament to Peter’s approach that the ambassadors come from many different walks of life. With Peter’s support and encouragement, they engage on every level. Peter devised a versatile presentation pack for ambassadors to use with a variety of audiences. He organises regular information update sessions, ensuring the messages ambassadors give out are accurate and on brand. He also set up an ambassadors’ WhatsApp group and encourages them to communicate openly. 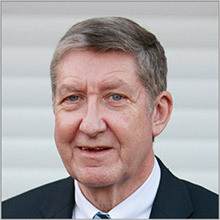 Peter and his team have successfully raised income by introducing and organising corporate sponsorship at events and recruiting people to take part. From presenting to community groups to hosting information stands, the ambassadors have encouraged and enabled countless people to get support from the hospice. In August, Peter also organised a Superhero 5k run – doing everything from mapping the route and managing volunteers to timing runners and presenting medals. Peter is tireless in his efforts for St. Luke’s Hospice and raises awareness of the cause throughout his busy day-to-day life. In just over a year, Rachel Elson has made a huge impact on The Children’s Society’s social media channels. Her creative flair and ideas have led the way for new and exciting content. Rachel recently led on the social media content for the Good Childhood Report 2018, making sure all statistics and quotes were powerful and impactful. The results speak for themselves: organic reach was 6,255 and paid reach was 199,755 on Facebook. Plus, Stacey Solomon retweeted Rachel’s content to her 1.45 million followers. Rachel is passionate about generating original and inspiring content across a mix of channels. 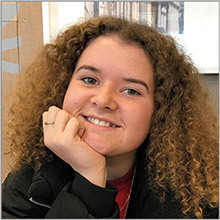 She effortlessly turns her hand to a range of subjects – including issues faced by young carers, cyber-bullying and free school meals – with excellent results. Rachel works closely with internal teams to support their work. She advises on the best channels for their audiences and helps inspire creative and innovative ways to present their content. Rachel knows instinctively how to communicate effectively with a wide variety of people – from young people to celebrity ambassadors to the senior leadership team. She always aims high and strives for the best possible results. Rachel’s social media remit often involves working outside core hours. She dedicates herself whole-heartedly to The Children’s Society’s mission, helping to communicate the complex problems children and young people face. 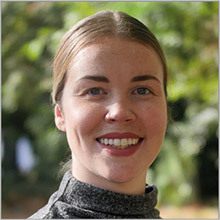 Keen to keep learning, she seeks out professional development opportunities and shares her knowledge with colleagues to inform their work and continuously improve standards. Rachel’s team love it when she shares her favourite social media campaigns, as well as fun and interesting facts about life in Canada, where Rachel is from. Few campaigners can claim they’ve played a key role in bringing about global change. Sightsavers’ Sarah Bourn is one of them – thanks to her clever, creative approach to campaign communications. With stand-out talent and passion, Sarah Bourn champions the voices of people with disabilities across Sightsavers. She sets the standard to ensure everyone in the charity uses empowering, person-first language, while achieving a warm and engaging tone. Sarah helped curate an #EqualUN campaign advocating for better representation of women with disabilities on the United Nations Committee on the Rights of Persons with Disabilities (UNCRPD). Her work helped get Sightsavers’ advocacy adviser for social inclusion, Gertrude Oforiwa Fefoame, elected to the influential committee in 2018. Sarah worked with teams across the charity to develop ways of reaching key influencers in the election process. As well as being responsible for the written communications, Sarah was critical to the creative thinking behind digital assets. She inspired the charity’s design team to bring the issues to life through compelling graphics. She brought teams together to make sure all channels were working as hard as possible. The campaign website was visited by 35 countries, with many reading Gertrude’s campaign manifesto before and during the election. The campaign achieved all its objectives with Gertrude elected onto the UNCRPD panel of experts and six of the eight seats going to women. It helped build stronger ties with other global organisations campaigning for better gender representation and Sarah has become an expert advisor for the movement. Known for her generosity of spirit when working with colleagues, Sarah shows an unwavering commitment to Sightsavers. Shirin Zaid is passionate about providing the best mental health support for young people and parents. She’s making sure YoungMinds harnesses everything digital has to offer when it comes to communicating with key audiences. Shirin is always on the lookout for the latest trends in digital and charity comms. She regularly shares her findings, bringing all her colleagues up to speed. 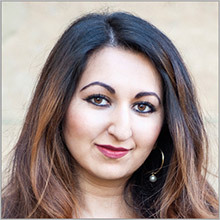 Through her social media training and copywriting for web masterclasses, Shirin has empowered staff to feel comfortable and confident with digital comms. Her colleagues regularly call on her expertise and understanding of what makes high quality, engaging content. time listening to young people, inspiring them to tell their stories and making sure their voices are heard. After years engaging with young people, professionals and parents, both online and offline, Shirin has an excellent understanding of YoungMinds’ audiences. She has a wealth of knowledge of users’ needs and great insight into where the mental health conversation is going. She recognises the latest influencers for young audiences, engaging with YouTubers such as Dan Howell, and bringing them on-side as ambassadors. Shirin’s incredible eye for detail means each piece of digital content serves a clear purpose. As a result, social media channels have grown substantially in the last few years, each one with a distinct voice and purpose that helps deliver the charity’s mission. The user comes first with Shirin. She has applied a methodical and analytical approach to testing, reviewing and evaluating the charity’s website. 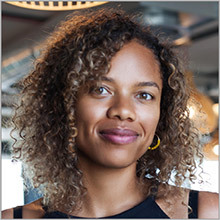 Coupled with her get-things-done attitude, this work has led to many improvements to the user experience – and some of the website’s highest-ever traffic. The British Heart Foundation’s communications team love to call on their CEO to talk to the media about their charity’s work. And they’re in no doubt Simon Gillespie’s commitment to comms has helped save lives. Whether it’s calling for change in government policy, raising awareness of an important health issue, or inspiring support for a fundraising event, Simon’s voice plays a vital role in helping beneficiaries and this year we’ve seen some incredible landmark wins. Simon has spearheaded the five-year campaign for CPR to be a mandatory part of the national curriculum, appearing in pretty much every national news outlet calling for change. In July this year, the government could no longer ignore him – and many other committed campaigners – and announced its intention to add first aid to the curriculum. Similarly, Simon has been one of the most vocal advocates for an opt-out organ donation system, which was finally agreed by the government last October. But perhaps the best example of the impact of Simon’s clear and inspiring communications is when he appeared on BBC Breakfast last year to demonstrate CPR and promote the BHF’s Nation of Lifesavers campaign. Shortly after, a man saw his father having a cardiac arrest. Remembering Simon’s demonstration, he performed life-saving CPR. Without Simon travelling to Manchester with a moment’s notice to appear on TV, the man might not have his Dad today. No media request is too small or tricky for Simon. He is extremely responsive and approachable. When loyal supporter and heart transplant survivor Kieran Sandwell took on the challenge of walking the coast of Britain for the charity earlier this year, Simon packed his bag and went with him. The BHF is lucky to have such a tireless and committed leader.